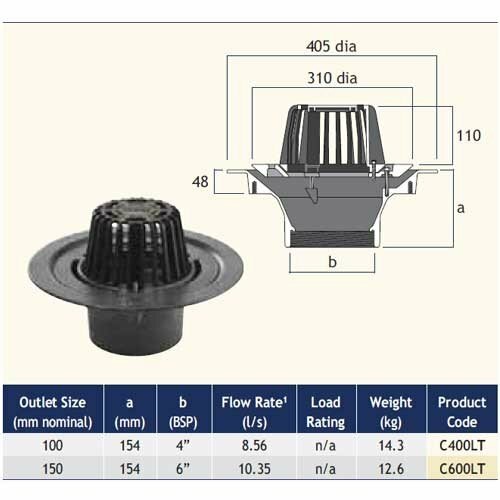 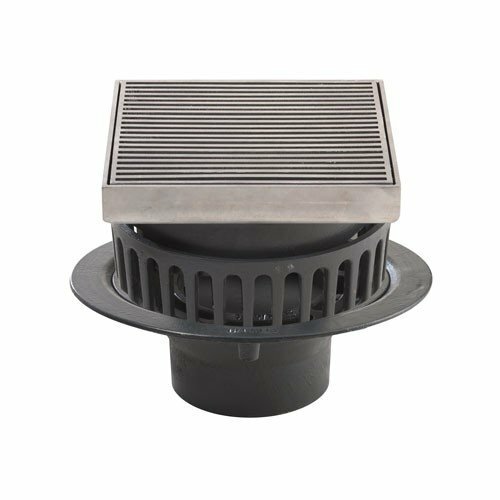 Harmer C400LT/ESS - Large Sump 4"BSP Thread Cast Iron Vertical Outlet, Extension Piece & Adjustable Square Stainless Steel Grate. Cast iron flat roof outlet complete with extension piece and adjustable 225x225mm square Stainless Steel grate. 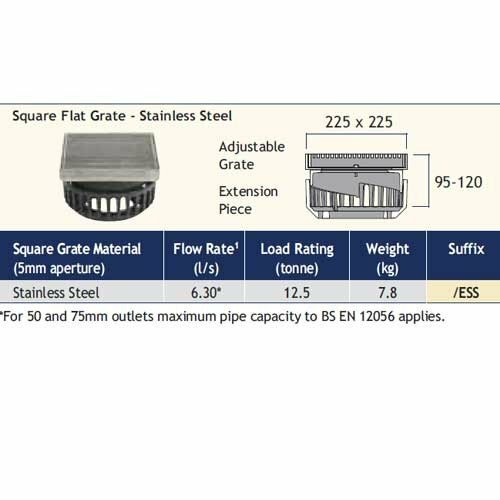 Flow Rate of 6.3 literes per second.